While many people in business have strong analytic skills, creativity has been undervalued in many organisations. 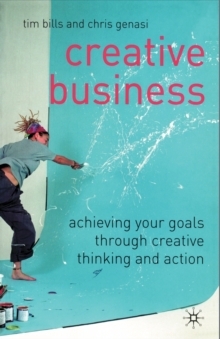 The authors draw attention to creative thinking and action and how this can be used to solve business problems and improve performance. They show how some companies have achieved success as a result of creativity and provide a step by step guide for companies and individuals to become more creative. The book also contains numerous scenarios that encourage the reader to solve problems imaginatively and to apply these creative thoughts to their own business problems. Pages: 152 pages, 54 Illustrations, black and white; VIII, 152 p. 54 illus.